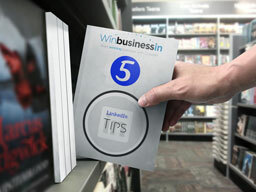 Mark Williams is a LinkedIn trainer for top level business executives. Mark shares cutting edge ideas and strategies that magicians can use to bypass some common mistakes and to speed up your networking that leads to bookings. Where does LinkedIn fit? Is it a social media tool? How important is building relationships and growing a network? What has LinkedIn got in common with a pirate ship? Mark’s business card story that explains some of the benefits of having a LinkedIn account. This can be your first impression for many business deals. Make sure you make a good one. What image should you use in your profile? Should you use your stage name or your birth name? How you should optimize the 120 characters in your headline? What are first tier and second tier connections ? Can you use your promo video more effectively? Special offer until 20.2.15 … write your Linkedin headline and post it in the comments below on this page. Mark will do a free assessment and offer feedback and suggestions for improvement.